Family historians are always looking into death details for their ancestors (along with birth, marriage, divorce, etc.) and to the uninitiated, they may seem to be enjoying an activity fixated on death. We very much enjoy our research, some say it becomes an addiction! We not only record the deaths of our ancestors but also their lives. 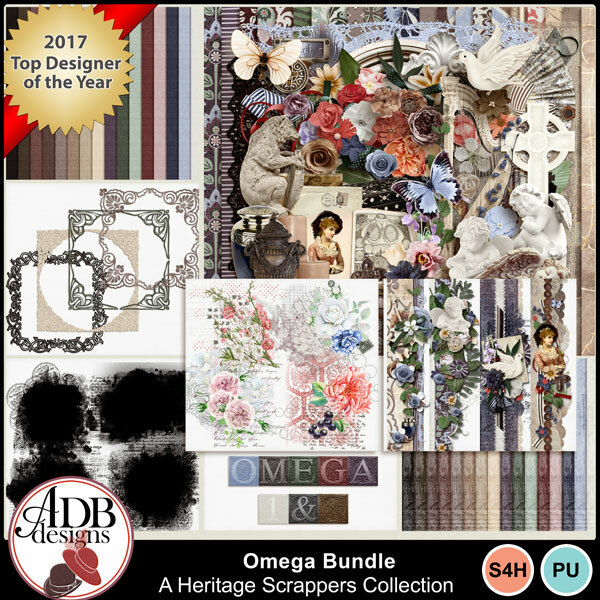 The Omega collection will assist with scrapping and recording ALL the details of your family history research. Omega is the last letter of the Greek alphabet and has come to mean "the end", as in the phrase "the alpha and omega" (the beginning and the end). The death of a loved one is devastating. Tell the story of your experience with death and grief and loss. Family members will appreciate knowing what your experience was even though it may be very difficult to scrap about. 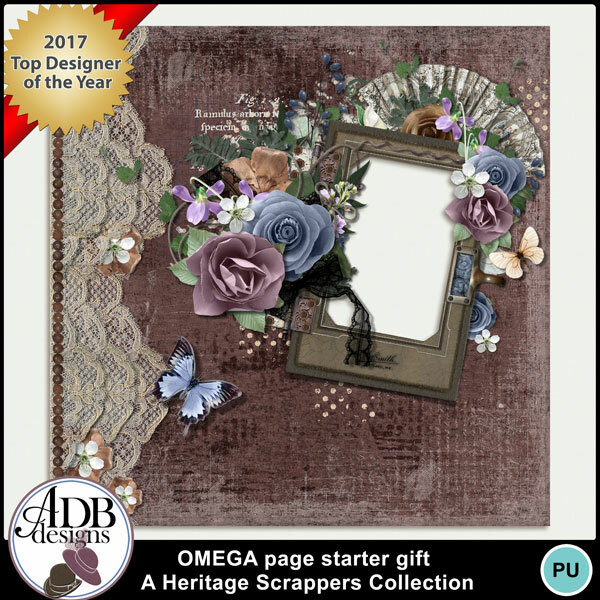 These are not the usual scrapbook pages you see on Pinterest, various blogs and Facebook. This is a page(s) for your family album. STMMMS89620 and receive $10 off plus all the other special offers!